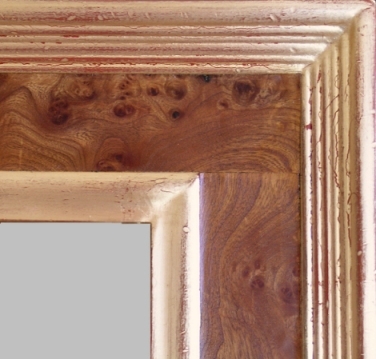 Burl panels give our frames a distinctly old, warm look. Please call us for details and prices (719.242.8482). Our standard burlwood is Carpathian Elm Burl Veneer. This works nicely as a substitute for a black panel in both our water-gilded (kt gold) and metal leaf finishes. 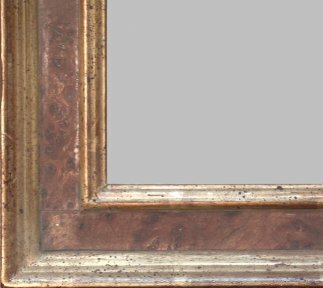 Looks best on our Verona, Tuscany, Venice, and Naples profiles (flat panel). Not suited for our Florence or Masina frames because of their curved profiles. Verona 2 in 18 kt gold with elm burl and heavy antiquing (Italian Finish). Venice with Madrona Burl, metal leaf, and no antiquing. 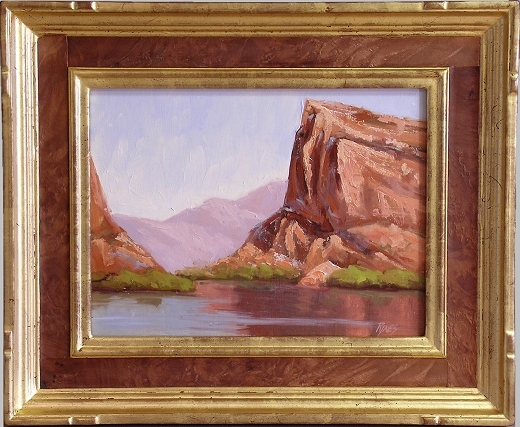 Verona 05, gold metal leaf with elm burl panel, moderate distress, moderate rub.